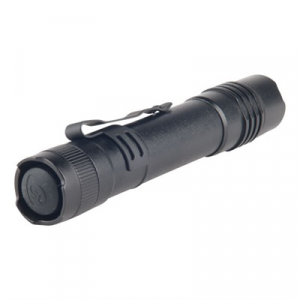 Mini-flashlight features a 35 lumen high-flux LED (30,000 hour lifetime) with Micro-Optical System technology for optimized output and run-time, and "battery-booster" electronics to provide a super-bright beam. 1 1/2 hour run-time on one AAA battery. Push-button momentary or constant-on tail cap switch. 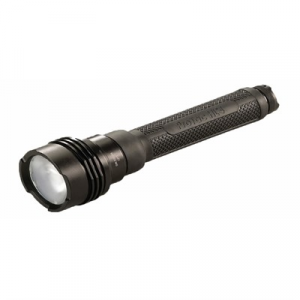 Mfg: Streamlight SPECS: Aluminum, hardcoat anodized, black finish. 3 1/2" (8.9cm). 1.1 oz., (30g). 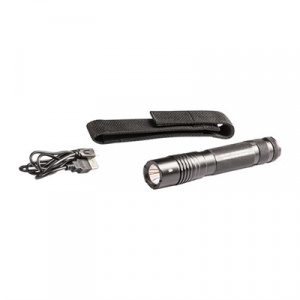 Includes key ring, pocket clip, breakaway lanyard, and one AAA alkaline battery.